The husband (!) and I celebrate Presidents Day not Valentine's so it's a normal Tuesday here. But I thought we could still paint the town red with some red pants! What a great work pant that transitions seamlessly to happy hour! 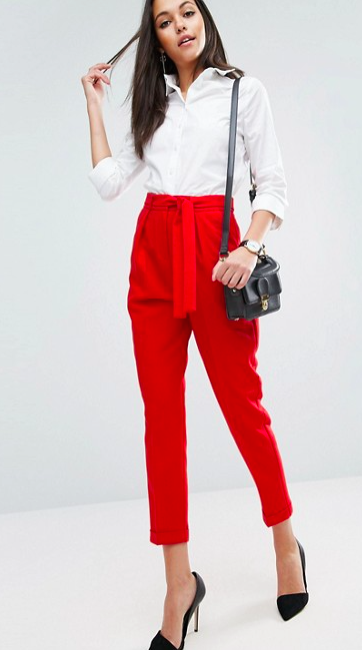 A classic staple pant that comes in a handful of versatile colors. This price. 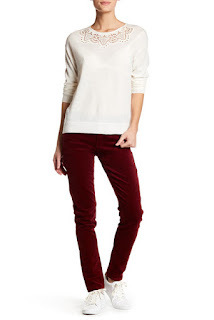 Why not get a pair of casual and cozy merlot cords? Ok so no go on the top but these crops! I love the wide leg flare. So who is your valentine this year? Mine is wine and my dog.